CustomTowels.com - 30x60 Sunny Beach Fiber Reactive Beach Towel. 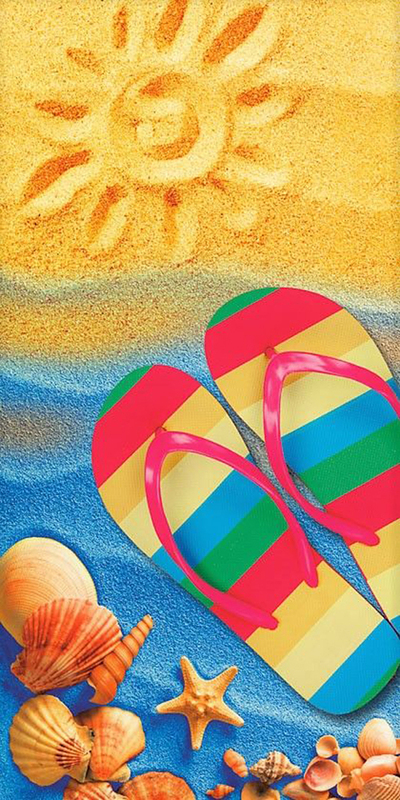 30x60 Sunny Beach Fiber Reactive Beach Towel. Fiber Reactive Print Sun Resistant. Weight: 9.5 Lbs per Dz. This item features Excellent quality print and vibrant colors. Ideal for beach, pool, parks, gift. Towel will get more absorbent and soft after first wash.
Easy care, do not bleach!